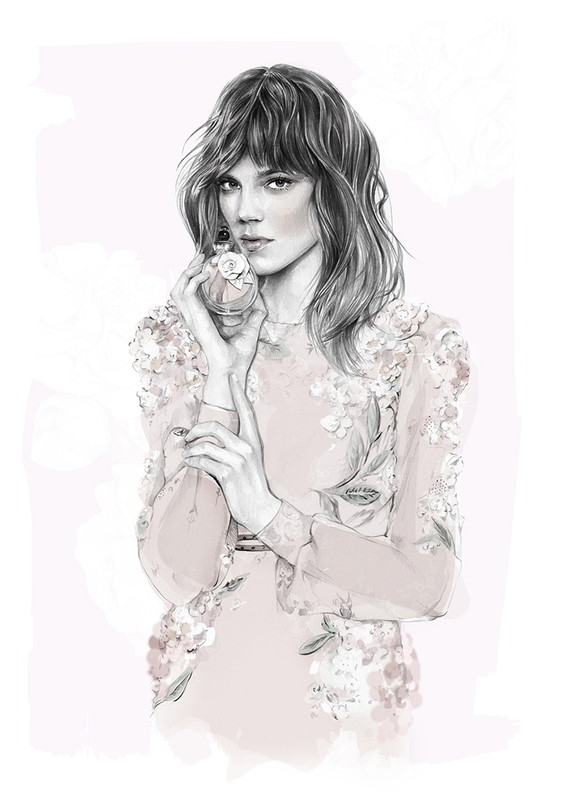 for their new fragrance Valentina Acqua Floreale, in which I had to create a series of illustrations that depicted the scent, bottle, and muse. I've been a long-time wearer of the original Valentina scent so this, paired with the fact that it was VALENTINO, was such an exciting project to be a part of! Acqua Floreale differs slightly from the original Valentina, adding notes of jasmine and orange blossom, however the essence of the fragrance stays the same; that sweet but playful scent offering an ethereal, girly elegance. lounging in a sun-kissed garden. when all eyes were on her. A huge thank you to Valentino for inviting me to be a part of this beyond dreamy project.